Team Sig shooter Daniel Horner earned several first-place finishes at the 2019 U.S. Army Small Arms Championship, commonly referred to as the All Army Championship. Horner, a U.S. Army Sergeant First Class with the U.S. Army Reserves, pulled in first place wins in the Multi-Gun competition and National Match Rifle Course of Fire in addition to being awarded as the Overall Individual Match Champion. Horner also served as a member of the Army Reserves Career Division Team which took the Overall Team Championship title. Horner competed alongside Sgt. Joseph Hall, Staff Sgt. Rafael Fuentes, Sgt. 1st Class Charles Parker with Sgt. Maj. James Mauer serving as team coach. The All Army Championship runs competitors through “sun-up to sun-down” matches using only U.S. Army issued gear and guns. The competition, which ran Mar. 10 through Mar. 16, is open to Active Duty, Army Reserves, U.S. Army National Guard, Military Academy, College ROTC cadets and OCS candidates. “The 2019 All Army Championship was an extremely challenging competition that tested both my shooting skills and my endurance. It was an honor to be one of the first competitors to run the U.S. Army’s newly issued M17 pistol in competition, and it was very satisfying to use it to win the match,” Horner said in a press release. Among the guns used in competition was the M17, the Army’s newest service pistol. 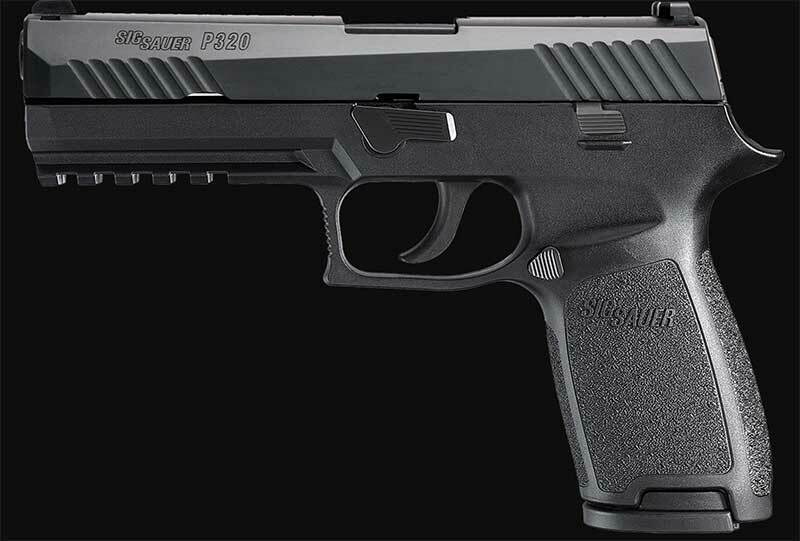 Similar to the civilian P320, the M17 features a polymer build chambered in 9mm. The M17 was first issued to service members in the 101st Airborne Division out of Fort Campbell in 2017 as part of an initial buy that included 190,000 pistols. The Sig pistol beat out incumbent Beretta for the coveted MHS handgun slot. In related news, the Guns.com crew caught up with Horner at SHOT Show earlier this year to talk about both the Sig MPX Copperhead and the M400 Tread, below.